Your Time is Valuable. Our Delivery is Free*. As a client of Dog’s Best Collection, you will immediately see the difference when ordering from us. First, you receive the highest quality, made in the USA, D.O.G. certified pet products available on the market today. Then, you get them conveniently delivered* to your door by a member of our dog-loving staff! And, we deliver your order when it fits your schedule, not ours! While you do not have to be home when we arrive, we’re sure your canine companion would prefer it. Why? We bring TREATS! Frankly, we can’t imagine showing up empty handed! Your Dog’s Best Collection delivery will become the highlight of your dog’s week… and ours! Simply select products from our nutrition, lifestyle, and health categories, and add the items to your shopping cart. 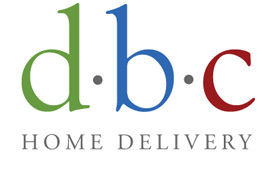 Upon entering your address, our system will identify if you are in our Free Delivery Area. We will then confirm your order and contact you to select a delivery day and time that is best for you (Please allow 48 hours for delivery). It’s that easy! * Are you in our Free Delivery Area? We deliver to all of Ventura County and select areas of Los Angeles County, including Calabasas, Malibu, Studio City, Westlake Village and Sherman Oaks, among other areas. Click here to view the zip codes we serve and a map of our service area. If you are not in our Free Delivery Area, we will gladly ship your order, as noted in your shopping cart!